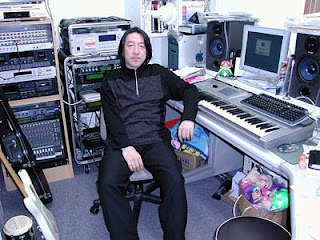 The folks over at GameSetWatch.com recently posted an interview with Hirokazu "Hip" Tanaka, the man behind the music heard in such Famicom/NES classics as Balloon Fight, Kid Icarus, Metroid, Mother and Wrecking Crew. My favorite comment of the incredibly interesting interview comes after Tanaka, who currently serves as the president of Creatures Inc., mentions that the use of rhythm in Balloon Fight and Wrecking Crew was an homage to Sly and Robbie. "To be honest with you, back then I had a lot of reservations about the use of music in games," Tanaka says. "I was sort of embarrassed by it. The background music would just keep on playing over and over. I thought it was annoying. My feeling was that the audio should be more in line with the sound effects that you had control over as the player, so that there was a more unified sound to the game. I was kind of in love with the idea of a game whose audio was totally composed of sound effects. "This concept was on my mind while making Metroid," he adds. "The idea was for there not to be a strong melody line until the game was completed, and that gave you as the player a sense of accomplishment. You were playing this game with its dark-sounding music, battling for weeks on end. Hearing this melody at the end of the game would then feel so rewarding."